exclusive to Kohl's. 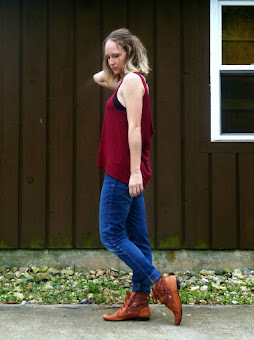 Personally, I've given up buying new clothes for this entire year, so when I hopped online to the Kohl's website to check out some of the clothes, it was more for inspiration than for real shopping. After finding a ton of stuff I liked however, I thought, why not take this virtual shopping a step further, and make a trip to the store? 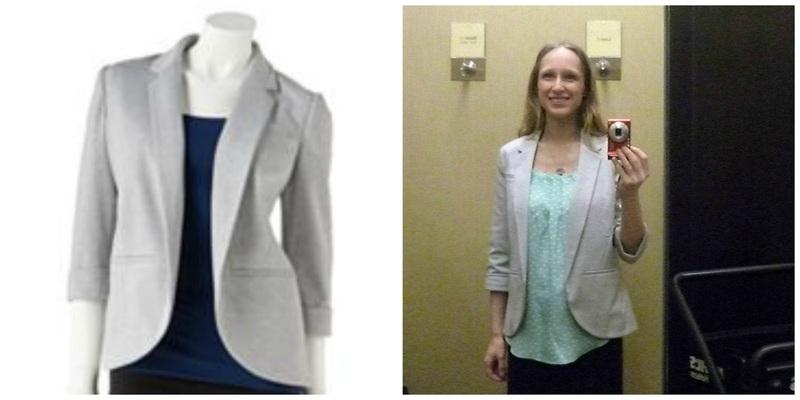 I previously talked about the ponte blazer that I was obsessing over, so of course finding one was my first objective. I haven't really shopped at Kohl's since I grew out of the junior's section, and honestly, I have yet to shop hard anywhere labeled "misses" or whatever it is they call grown-up stuff. And Kohl's, well, is not known for being well-organized! I had to wander quite a bit before I found what I wanted. 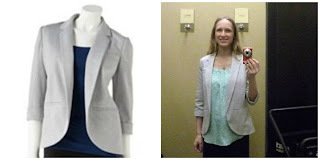 In any case, I did eventually find the ponte blazer. I took a bunch of detail shots of the blazer to help me remember, in case I want to attempt to copy it someday. How fun is that striped seam binding and lining? 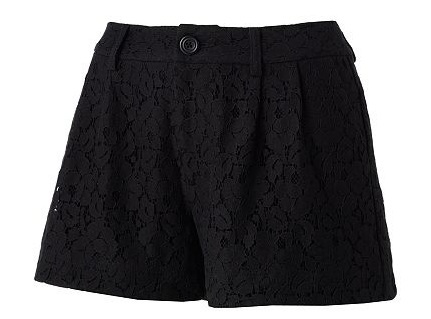 Sadly, I did not find the adorable lace shorts I'd been crushing on as well. It's hard to see the detail in this photo, but trust me, it's there! 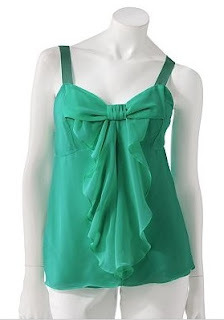 I also couldn't find this chiffon top with grosgrain ribbon straps (which was sort of a secondary inspiration for my ombré dress), though there was plenty of chiffon to go around! I absolutely fell in love with a black lace-covered skirt. It fit like a dream and was so fun, while still being functional. I'm wearing it in the photo above. This photo makes it look really washed out, but in real life the lace aspect was more subtle. (By the way, the fit on this dress was horrible. At the end of the day, I stuck to my resolution and put everything back on the rack. It was freeing to be able to pick up whatever I wanted and ignore the price tag. 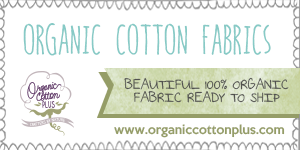 Normally, my shopping method is to not even try on anything out of my budget. I have a feeling that while thrifty, that strategy has prevented me from trying different colors and silhouettes. This was such a fun trip, I could see myself doing some website-turned-store shopping more often. Y'know, as long as I can go to a place that doesn't notice me taking pictures of myself in the dressing room. 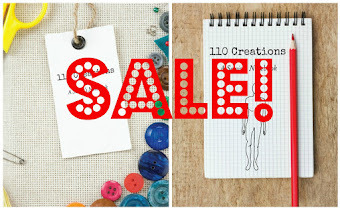 Pssst...did you see that all classes are on sale on Craftsy today?? 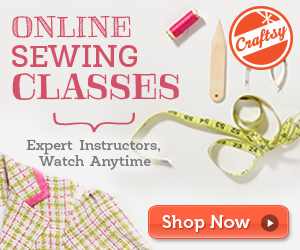 I'm heading over there now to drool over the deals! 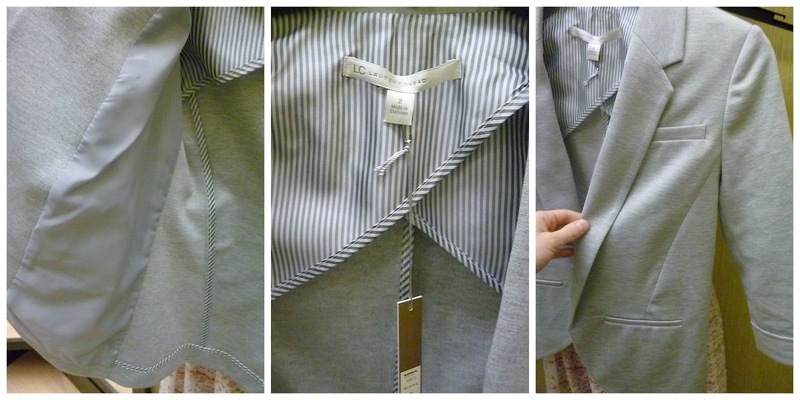 I've got my eye on Tailoring Ready to Wear, for sure. Don't forget that they always have free classes, too!